Not happy with the hand you've been dealt? 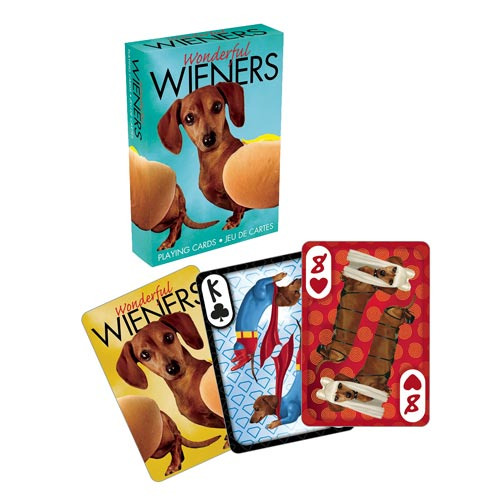 Stack the deck with these Wonderful Wieners Playing Cards! Measuring approximately 2 1/2-inches x 3 1/2-inches with a linen type finish, these cards feature adorable images of wiener dogs wearing all sorts of costumes! Ages 13 and up.